This text is appropriate for undergraduate or graduate courses in Counseling Ethics, Legal Issues in Counseling or as a supplemental text for Introduction to Counseling, Practicum or Internships. 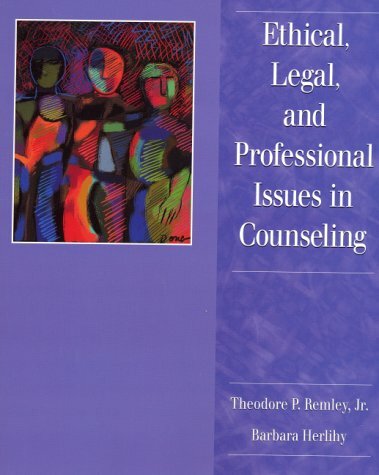 Written specifically for counselors, by leading scholars in their field, this is the first comprehensive text to approach professional issues in counseling from an ethical perspective and legal viewpoint. Difficult issues are addressed in a direct manner and practical, realistic advice is provided for counselors in training and for counseling practitioners.